HMRC has a special unit to collect tax from high net worth individuals who are those with assets of £20m or more. While this special unit gives it a better understanding of the tax affairs and behaviours of these taxpayers it needs to evaluate what approaches are the most effective and to understand the outcome it achieves. "The tax affairs of the wealthiest in society are complex, making it harder for HMRC to ensure that they are paying the right amount of tax. HMRC's specialist team gives it a better understanding of the tax affairs and behaviours of these taxpayers. While the yields from HMRC's work in this area have increased it needs to evaluate what approaches are the most effective and to understand the outcomes it achieves." HMRC estimate that its specialist unit dedicated to collecting tax from high net worth individuals raised £416m from its compliance work with this group in 2015-16 according to a report today by the National Audit Office (NAO). This is separate from tax already voluntarily declared by these individuals. As this specialist unit expands HMRC needs to do more to identify the most effective approaches to maximising the tax revenue paid by the very wealthiest people in the UK. High net worth individuals often have complex tax affairs and they generally have more choice over how they manage their income and assets than the average taxpayer. It can be challenging for HMRC to understand their tax affairs and assess if there are any risks to address. In 2009, HMRC established a specialist unit to manage the tax affairs of high net worth individuals to give it a better understanding of the overall tax position of high net worth individuals and their behaviour. At the start of 2015-16 HMRC considered there to be around 6,500 high net worth individuals, roughly 0.02% of all taxpayers. The amounts of tax revenue that are at stake are significant. In 2014-15, high net worth individuals paid over £4.3 billion in tax. This included £3.5 billion in income tax and national insurance (1.3% of the total revenue for those taxes) and £880 million in capital gains tax (15% of all CGT). HMRC does not record other types of tax that are collected, such as Inheritance Tax, in a way that easily allows it to identify the amounts paid on high net worth individuals’ wealth. HMRC is investigating risks from high net worth individuals with a potential value of £1.9 billion. This figure is an initial estimate of the tax that could be due and covers more than one tax year. £1.1 billion of this relates to the use of marketed avoidance schemes; around 15% of high net worth individuals have used at least one scheme. HMRC has identified that the risks from high net worth individuals relate primarily to tax avoidance and the legal interpretation of complex tax issues, rather than tax evasion. HMRC is currently running a formal enquiry on around a third of high net worth taxpayers, with an average of four issues being examined per taxpayer. Formal enquiries occur where HMRC does not understand or agree with the position taken by a taxpayer. These enquiries can take a long time to resolve with 6,000 issues under enquiry open for more than 18 months, 4,000 of which have been open for more than three years. HMRC recorded yield of £416 million in 2015-16 from the work of the high net worth unit. This is an increase from £200 million in 2011-12, and exceeds HMRC’s internal target of £250 million in 2015-16. In addition to the work of the high net worth unit, since 2009 HMRC has recorded yield from high net worth individuals of around £450 million. Around half of this – £230 million – has come from its work in tackling marketed avoidance schemes. A further £80 million relates to fraud investigations and around £140 million from the use of offshore disclosure facilities (Liechtenstein disclosure facility). 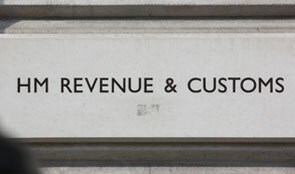 HMRC prioritises the recovery of tax where it identifies fraud and uses civil investigations in the majority of cases. Where high net worth individuals are suspected of tax fraud, their case is passed to a specialist team within HMRC which examines whether the evidence is sufficient to merit a criminal, rather than civil, investigation. In the last five years, HMRC has investigated and closed 72 cases relating to high net worth individuals. 70 of these were investigated with civil powers, raising £80m in compliance yield including penalties. Two cases were criminally investigated and passed to the Crown Prosecution Service, one of which was taken forward and successfully convicted. At October 2016 HMRC was criminally investigating a further 10 high net worth individuals. Identifying high net worth individuals is not straightforward as most of the information about their wealth such as sources of income or assets owned does not need to be reported. During 2015-16, HMRC undertook a review and identified an extra 1,000 people with net worth of more than £20 million. HMRC has developed its approach to high net worth individuals over time. HMRC initially focused on getting a better understanding of the circumstances of high net worth individuals. It has since refined its approach to become increasingly focused on the riskiest taxpayers. HMRC has not evaluated its approach to high net worth individuals. While HMRC knows more about this group that it did when the high net worth unit was set it, it has not looked at what works and why in its current approach. It could use such analysis to increase the impact of its work.